Headlining this past weekend of releases was the 'Orion Blue' Air Jordan Retro 7. Share your thoughts and opinions on their release for our latest Sole Collector Release Recap. 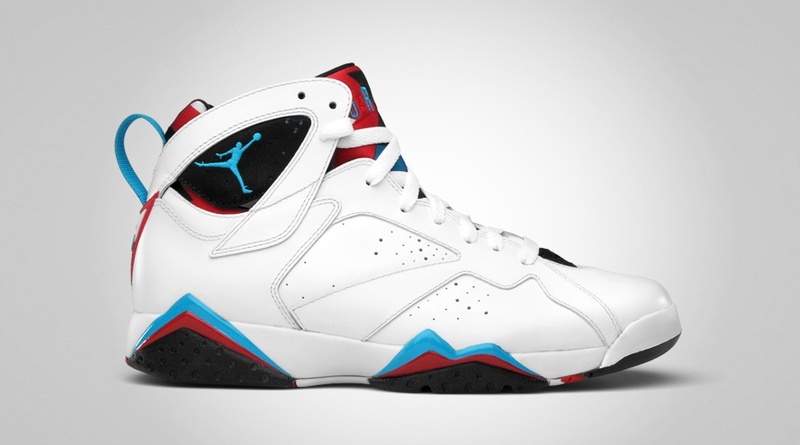 This past weekend, the Jordan brand hit us with the first of several releases of the Air Jordan Retro 7. While many of us are eagerly awaiting the release of the 'Bordeaux' and 'Cardinals' Retro 7, the release of the all new 'Orion Blue' colorway was still on the radar of many Jordan heads. Just like 2006 'Pacific Blue' CW of the Retro 7, this weekend's release was also a perfectly executed combination of blue and orange. Not what we're used to seeing from the Jordan Brand, it'll be interesting to hear everyone's feedback on the 'Orion Blue' Air Jordan Retro 7. Did you pick up a pair, or just pass on them all together? Any changes you would have made to them? I'm sure there's tons to be said about this all new Air Jordan Retro 7. Share your pick-up stories, thoughts and opinions below for our latest Sole Collector Release Recap. Also, enjoy several of our SC forum member's pick-up photos. 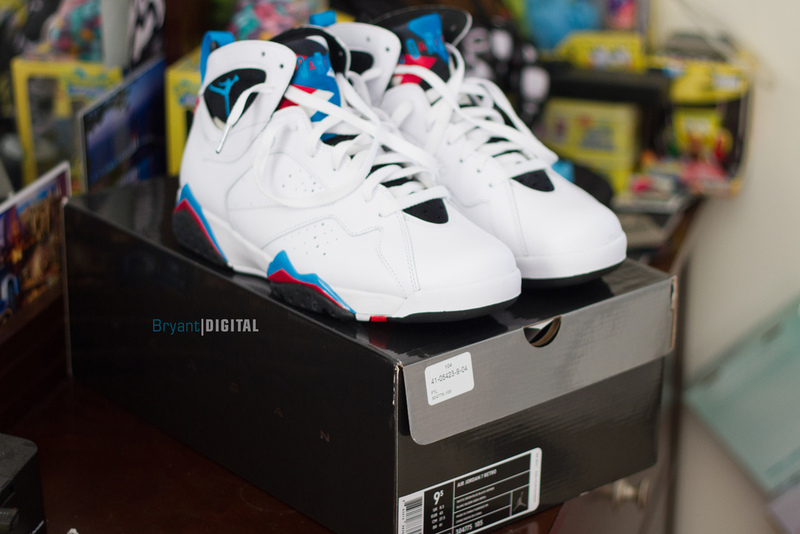 BryantDigital's 'Orion Blue' Air Jordan Retro 7. 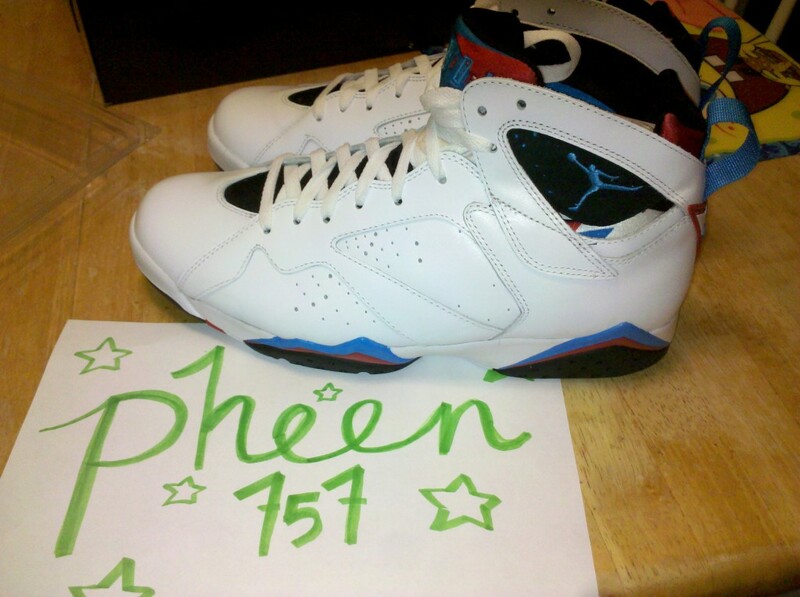 Pheen757's 'Orion Blue' Air Jordan Retro 7. 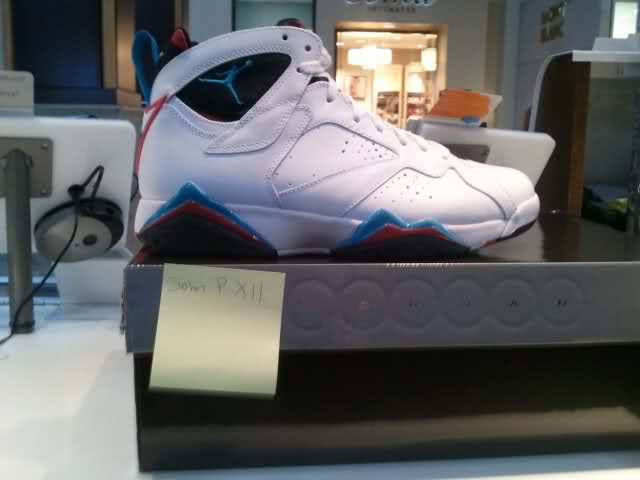 John P XII's 'Orion Blue' Air Jordan Retro 7.